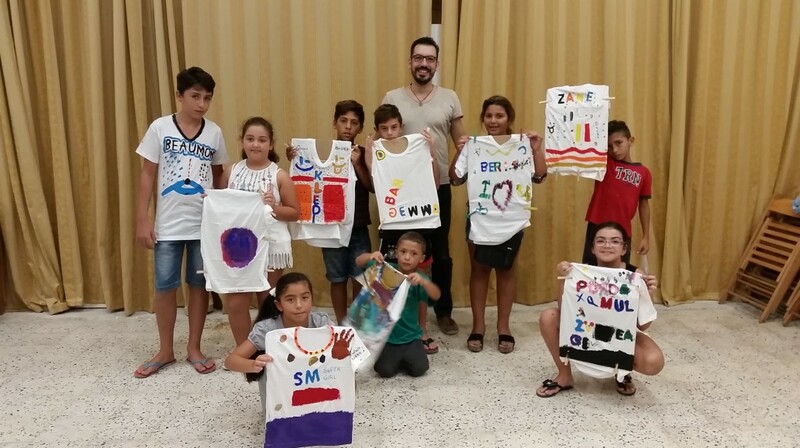 Project Coordinator Dr. Victor Jacono with young participants of Ġewwa Barra. Ġewwa Barra, Valletta 2018’s ongoing community project with Valletta residents, has a programme of activities set for the Carnival period. On the 26th February, the experiences of Duwi Balli residents will be narrated through the photographs of Valletta resident Osea Tabone and the stories of young local writer Jean Paul Borg, during an event that will be held at Steps Street, located in the Duwi Balli area at 8.30pm. Tabone has witnessed the carnival traditions of the Duwi Balli neighbourhood since childhood and understands its colourful culture, while Borg is passionate about human diversity and narratives which emerge from the experiences of marginalised communities. The narratives developed for this event are inspired from Tabone’s photographs and the stories of residents. On the 27th February, a display of carnival maskaruni and dances will also be taking place in the same neighbourhood. Feast decorations for the carnival period will also be produced by Paris-based Italian decorations artist Federica Terracina and leading community figure and Carnival veteran Godwin Scerri together with the Duwi Balli residents for Steps Street. Terracina has worked on various community art projects and uses textiles and materials in which she can refashion customs, costumes and environments to suit the communities she works with, while Scerri has mentored a number of generations on local carnival traditions. These Ġewwa Barra events will bring the season’s revelries, generally confined to the upper areas of Valletta, down to a neighbourhood that is long known to be the home of a community of Carnival artists and enthusiasts. Ġewwa Barra provides residents of Valletta with the opportunity to engage fully and responsibly, through artistic tools, with the economic, social and cultural changes happening in their city. The carnival activities are part of the first phase of the project, titled Taraġ.